“Revolution”, running until 17 July 2016, is the solo show of Italian Kinetic artist Franco Costalonga at New York’s GR Gallery, a commercial space focused on Kinetic and Optical Art. Detecting a recent comeback of these two movements on the art market—from this year’s edition of Miart 2016 exhibiting a large body of work by Alberto Biasi, to museum exhibitions across the US presenting masterpieces by Bridget Ridley, Victor Vasarely and Edwin Mieczkowski—Where’s Art catches up with the Italian artist about his research on movement and the interaction between shapes and colors. Franco Costalonga, ‘Riflex’, 1990, mixed media with light bulbs, 29.5 x 29.5 in. Image courtesy the artist and GR Gallery, New York. It is impossible not to have noticed that in industrial and graphic design, in fashion, in architecture, in décor objects and in a myriad of other places, Op art is back. However, in our present troubled era of the 21st century, new implications are surfacing in these works. The world has become less passive and more interactive—phones are now computerized accessories; TV is no longer a passive viewing box but an interactive programming device; WiFi-enabled devices have become inevitable. Information overload, sensory overkill, frenetic movement; Kinetic and Op art can be all this, and more: a pre-programmed series of destabilizing visual codes with a logical outcome that mirrors the over-complexities of the information age. Op Art fully reflects the flickering, ever-changing, semi-virtual world we inhabit and it has of course been influencing the artistic output of the 21st century vanguard of Kinetic and Op art. The developments within the fields of psychology, contemporary philosophy as well as the technological development in the 20th Century put these issues in the very center of many of the 21st century artists’ interests. On a more apparent note, it’s in the nature of trends and trendsetters to bring back the neglected and outmoded, and Op art makes for an ideal candidate: sufficiently dated, sidelined and even maligned; its use once again seems new, daring and reactionary. In these times of global anxiety and world destabilization, the essence of Op art and Kineticism are more than ever weaved into the fabric of our society which makes them more approachable easily assimilated. Maybe only today, thanks to greater intellectual and technological advances, the public is ready for the soothing aspect of getting lost in the programmed order of Op and the soothing movement of Kinetic Art. They are here to stay. 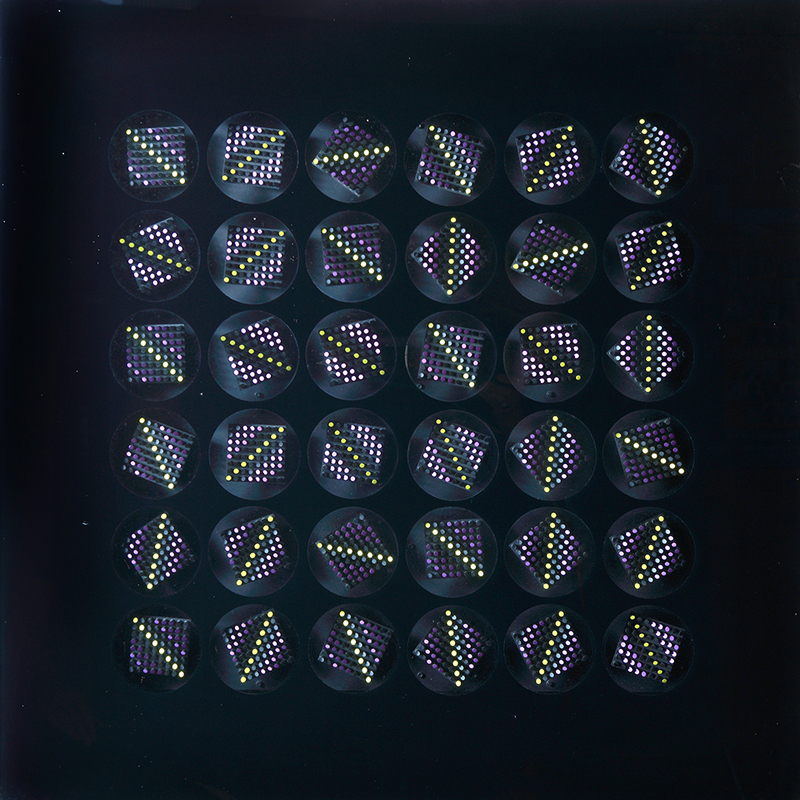 Franco Costalonga, ‘Onde Gravitazionali’, 2014, mixed media with light bulbs, 31.5 x 31.5 in. Image courtesy the artist and GR Gallery, New York. Hello Franco, let me start this interview with asking you more about the title of the exhibition “Revolution” at GR Gallery. Can you explain which ‘revolution’ you are referencing to? The concept of “revolution” is present in my current work, contained within the title of the exhibition, and also contains the significance of evolution, rotation, and the movement itself of my objects and paintings. This exhibition features bright wall sculptures lit with LED bulbs (R.G.B) and others types of lights that I’ve been using since 2015. My recent series Onde Gravitazionali consists of multicolor light patterns projected by LED lights that are constantly morphing in shape and color. 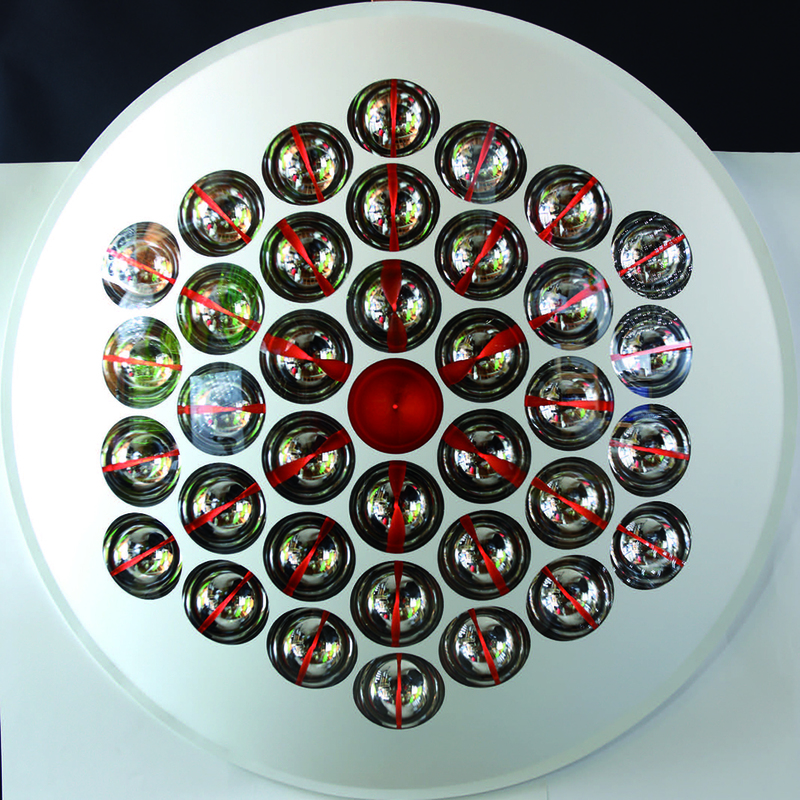 These light patterns are obtained by the reflections of the LED lights on curved mirrors mounted inside a square frame. The title Onde Gravitazionali is due to the fact that gravitational waves were first detected and photographed in 2015, but is common knowledge that Einstein had foreseen their existence in space back in the thirties. My imagination inspires me to pull the concept of gravitational waves over to my works. I must also point out that I was experimenting with the use of intermittent lights, back in the ’60s- ’70s. But I had to interrupt my experimentation given the short life of incandescent bulbs. Thankfully, now LEDs last 20/25 hours! 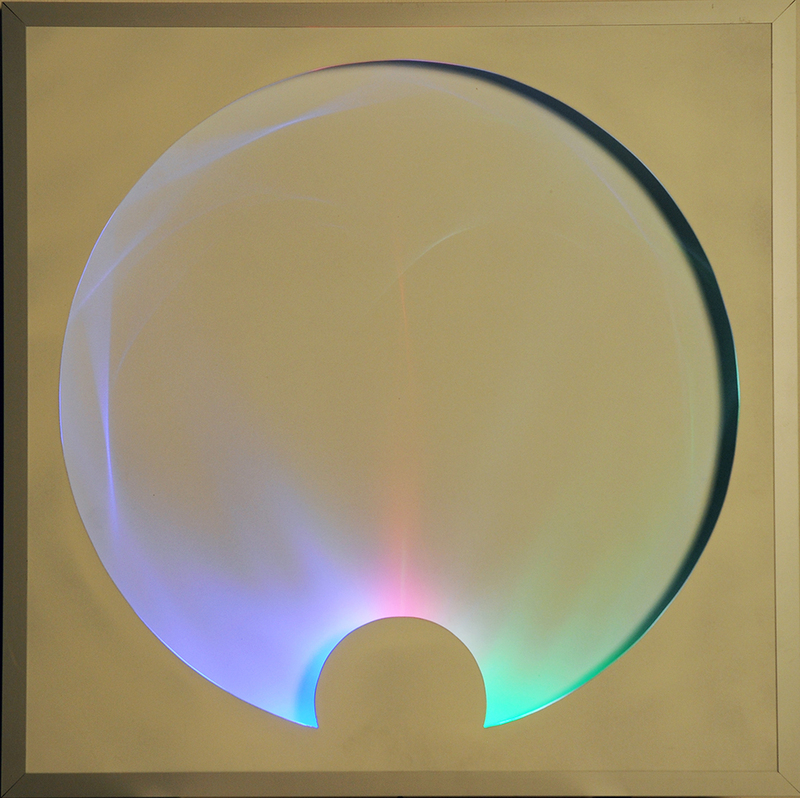 Franco Costalonga, ‘Onde Gravitazionali’, 2015, mixed media with light bulbs, 31.5 x 31.5 in. Image courtesy the artist and GR Gallery, New York. 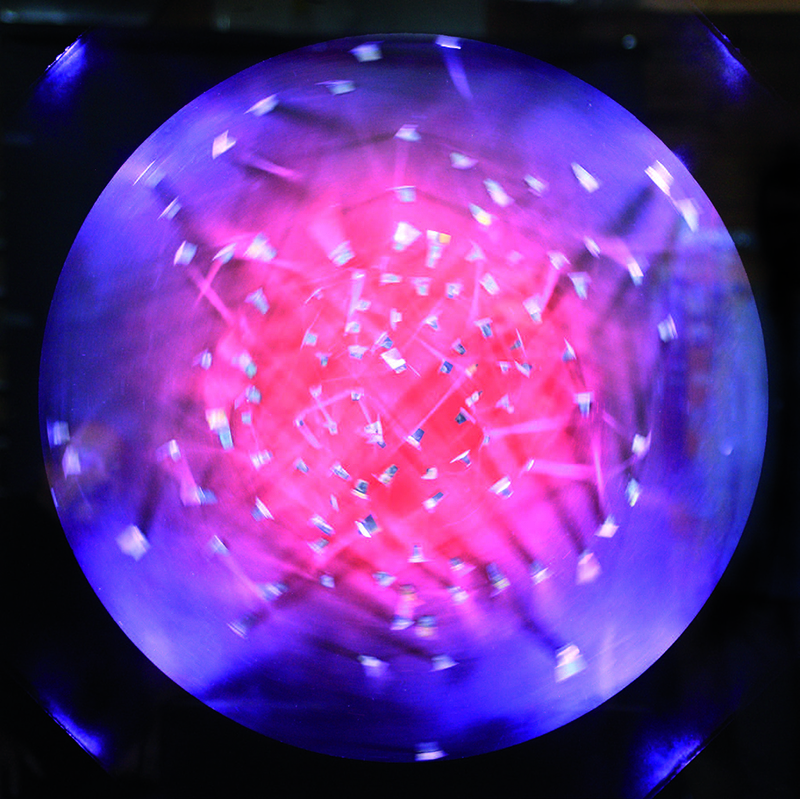 Franco Costalonga, ‘Onde Gravitazionali (6 cerchi)’, 2014, mixed media with light bulbs, 31.5×31.5 in. Image courtesy the artist and GR Gallery, New York. Recently, we have been noticing an important presence of kinetic art not only at contemporary art fairs, such as Miart in Milan (8-10 April 2016) but also at museum exhibitions such as “Eye Attack” at the Louisiana Museum of Modern Art, or “The Illusive Eye” at El Museo del Barrio in New York. Would you say these events are marking a comeback of kinetic art? If so, why in your opinion? The interest in Kinetic and Op art art started between the ’60s- ’70s and began to decrease a while later, only to pick up again later in the 2000s. We are already experiencing a resurgence of this genre, since the general public and the art world are finally understanding the importance of an artwork that is born out of intensive and rigorous research. It will resume its rightful place in the context of modern and contemporary art and in my opinion, it deserves to. I believe that Op Art, which was mostly popular in Europe and South America, was “killed” by the U.S. to protect the American-made movement of Pop Art. 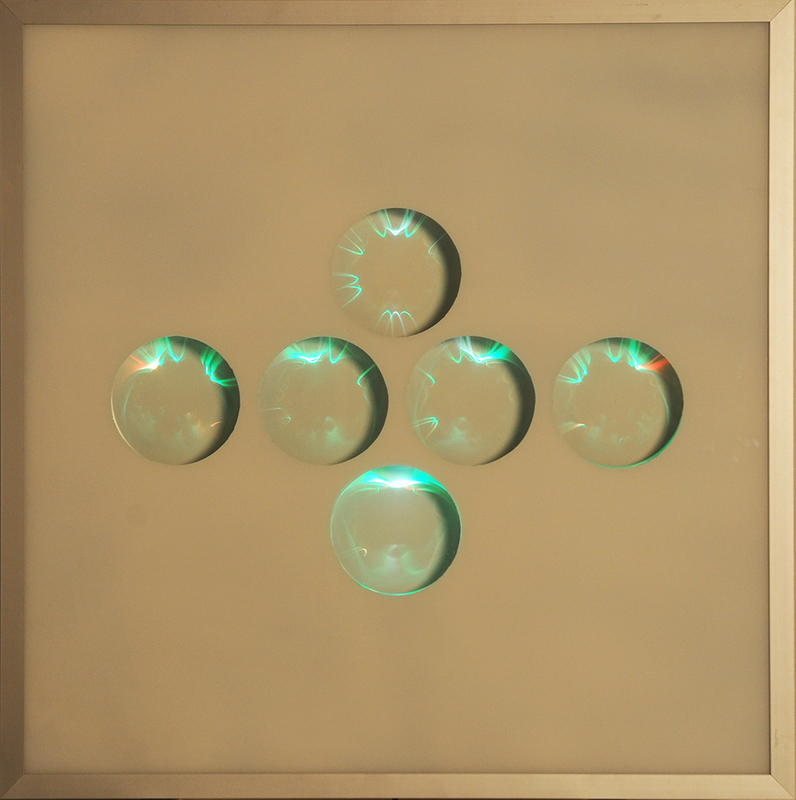 Franco Costalonga, ‘Lente Cromocinetica’, 2004, mixed media, 39.4 x 39.4 in. Image courtesy the artist and GR Gallery, New York. Kinetic art and subsequently Op art convey visual instability and perceptual distortion. In the sixties and the following decades, this artistic language found fertile ground in the context of what we would define as ‘psychedelic’. In your opinion, in what way are Kinetic art and Op art still socially relevant nowadays? What does it mean to create Kinetic art today? When one considers that the catalyst of Kinetic and Op art was a mix of constructivism, research on visual perception, and elements of technological innovation, I don’t believe there is any connection to the Psychedelic movement and its artistic output with which Op Art is often conflated. To date, I consider this research valid and useful in a didactic way. Perhaps Op Art does not fully represent this moment in history, but it is relevant in the way it presents a constructed order, which dissipates the moment it is perceived. Such could be a representation of the uncertainty of our times. The goal of Kinetic art is to create a visually deceptive order designed to make us question our abilities to perceive our surroundings and thus revealing our anxieties. Franco Costalonga, ‘Oggetto Cromocinetico’, 1970, 52 x 52 cm. Image courtesy the artist and GR Gallery, New York. GR Gallery and “Revolution” feature a survey of your work from the 60’s until today. Could you tell more about your artwork from the 60’s and 70’s? My work from the ’60s and the ’70s stems from my experimentation of creating tension on a sheet of PVC by molding it with heat into shapes. 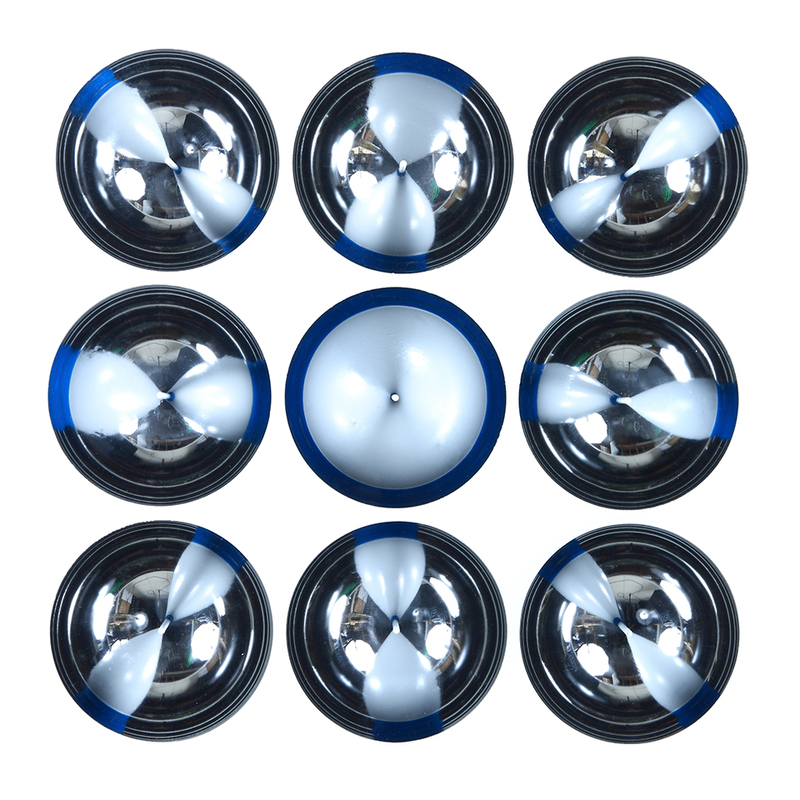 Subsequently I discovered that I could use spherical mirrored caps, where I would insert a cylinder fixed to its center, to generate a double image that would change according to the position of the viewer as in the series Oggetti Cromocinetici (Chromokinetic Objects). I wasn’t the first one to study how light reflected within a spherical mirror. This research started in the mid XIX century and it was also common knowledge that the theoretical point that exists at mid-radius would completely fill the surface of the mirror itself. (That is how my half spheres can appear fully or partially colored.) Another important element in my artwork from those years were my wooden cylinders modules and the assembling of such cylinders in patterns. By cutting the heads of the cylinders at a 45 degree angle, and making them rotate by adding an electric motor, the light would then hit them a diffrent angles within the rotation and create what I call Oggetti Quadro sui Gradienti di Luminosità (Square Object and Its Gradients of Luminosity). 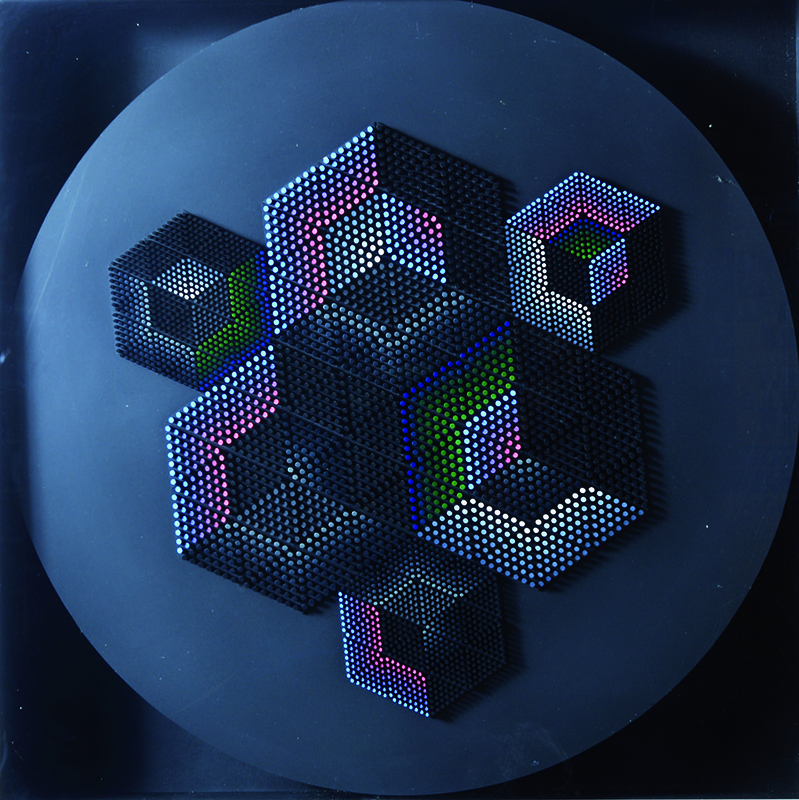 Franco Costalonga, ‘Mokubi’, 1976, mixed media with electrometer, 29.5 x 29.5 in. Image courtesy the artist and GR Gallery, New York. I am curious about the Mokubi series, could you tell me about it? My Mokubi series from the 2000s consist of an assembly of small individual cylinders cut on an 45 degree angle and painted different colors. Inspired by my appreciation for constructivism, such cylinders are used as modular elements to create three-dimensional geometrical structures that change shape and color according to the light source. 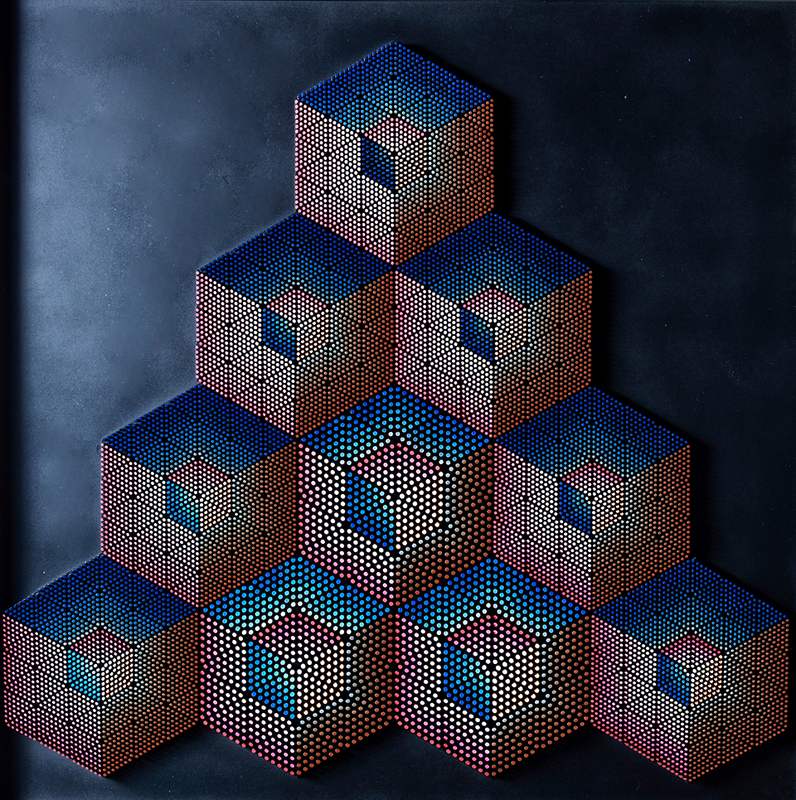 A particular representative of my Mokubi series is my 1976’s Mokubi, which consists of a flat pyramid made of hexagons that according to the viewer’s perspective, may seem like cubes stacked upon each other. Franco Costalonga, ‘Mokubi’, 2014, mixed media with electrometer, 29.5 x 29.5 in. Image courtesy the artist and GR Gallery, New York. 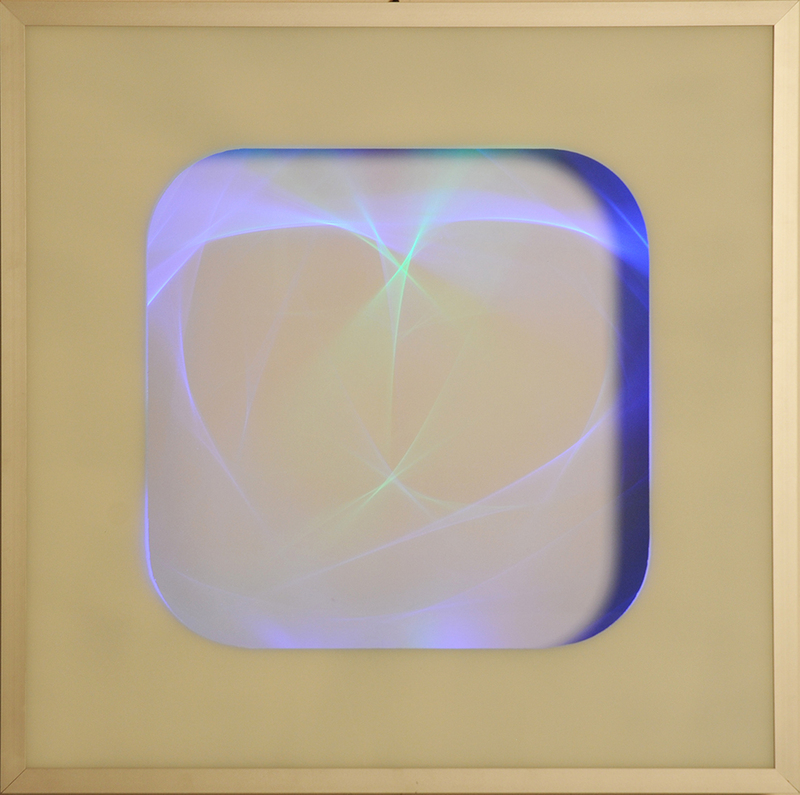 Franco Costalonga, ‘Oggetto Quadro Ruotante’, 1975, mixed media with electrometer, 33.8 x 33.8 in. Image courtesy the artist and GR Gallery, New York. If for a moment you could separate yourself from the contemporary art world and describe your artistic output through the work of another master, who and what would you choose? I would definitely choose La Madonna dell’Uovo (or the Brera altarpiece) by Piero della Francesca, because it emanates a sense of the universe’s immeasurability and perpetuity. These are elements that I believe one can find in my artwork, such as how I constantly strive to capture the infinite into the finite.